LaLiga is back with a bang this weekend, as Spanish top flight action gets underway again following the international break. FC Barcelona have an always intense Catalan derby against RCD Espanyol on Matchday 29, as they look to earn local bragging rights and another 3 points for their title quest. The game kicks off at 4:15pm CET on Saturday at the Camp Nou, and could mark a seventeenth consecutive LaLiga match without a loss for Ernesto Valverde's men. Espanyol made an impressive start to the 2018/19 season, incurring just two defeats in their opening eleven games. However, a six-game losing streak in the Primera División followed -including being beaten 0-4 by Barça-, and shifted their focus from challenging for Europe to avoiding relegation. They have picked up just 13 points from the last 51 available. Don't miss the Catalan derby at the Camp Nou! Get your tickets now! 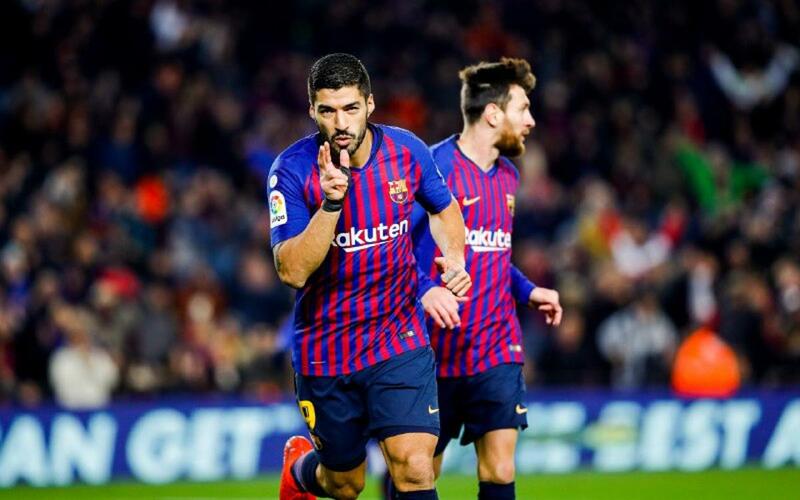 Luis Suarez has participated in 12 goals in 9 games against Espanyol in LaLiga, scoring 8 times and providing 4 assists. Espanyol coach Rubi has lost all three of his league encounters with FC Barcelona: Once when in charge of Levante (0-2), another as Sporting coach (6-1 at the Camp Nou) and the 0-4 defeat earlier this season. Barça are unbeaten in 19 LaLiga games against Espanyol, with 15 wins and 4 draws during that time. It is their best ever run against their neighbours in the league. Espanyol are one of the four sides against which Leo Messi has scored three hat tricks in LaLiga, along with Osasuna, Valencia and Deportivo La Coruña. The Barça strikeforce were on song in the Matchday 15 meeting between the two teams. Leo Messi scored a brace with two brilliant free kicks and set up Ousmane Dembélé for another goal. The Frenchman in turn provided an assist for Luis Suárez, who capped the scoring in a 0-4 win at the RCDE Stadium. Barça are ten points clear of Atlético Madrid, who have a tough game against surprise package Deportivo Alavés at 8:45pm CET on Saturday. Real Madrid are 12 points behind the Blaugrana in third place, and they host Huesca on Sunday at 8:45pm CET. Ter Stegen, N. Semedo, Piqué, I. Rakitic, Sergio, Coutinho, Arthur, Suárez, Messi, Malcom, Lenglet, Jordi Alba, Prince, S. Roberto, Aleñá, Vidal, Umtiti and Iñaki Peña. Espanyol coach Rubi: "We have a squad who will be giving everything. We are convinced about what we are going to do, we have a plan and we are going to leave everything out on the pitch. Winning at the Camp Nou would mean an awful lot. It would give a dose of happiness, joy and optimism. It would be the happiest day of my professional career." Barça coach Ernesto Valverde: Watch the video below!